It’s hard to believe that a band like Escape The Fate are still managing to stay afloat in 2018. It’s not because they’re not talented— in fact, far from it, as they’ve maintained a steady following and have no shortage of awards and record sales. The thing is, emo just… isn’t relevant anymore. That’s not to say there isn’t a niche market who still swear by it, and truthfully those are going to be the kinds of people buying Escape The Fate records, but bands like this no longer have the support of radio stations and print media beyond the likes of Kerrang! and Rock Sound. If, as an emo band, you’re not already playing arenas… it’s unlikely that you ever will be. 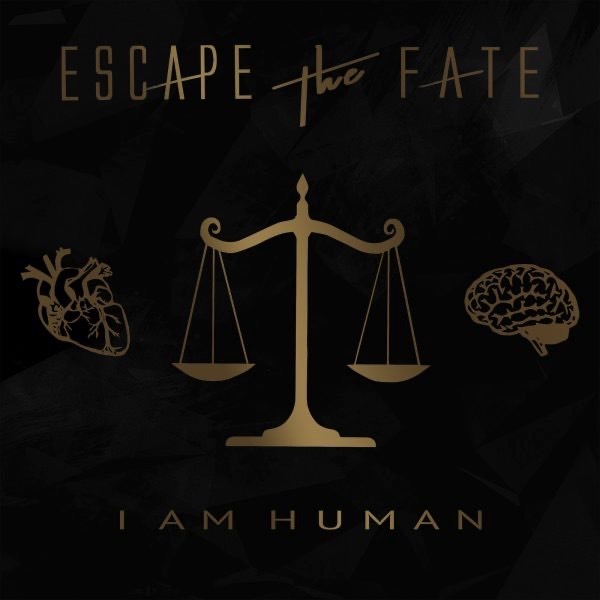 Regardless of the difficulty Escape The Fate might have in presenting new album I Am Human to a wider audience, fans were still eager to get their hands on the record upon its release. Kicking off with ‘Beautifully Tragic‘, the record begins far more gentle than you’d expect from a band like Escape The Fate. It’s not bubblegum pop, let’s make that clear, but it’s certainly not the heaviest material that the band have ever put out. This may be to their advantage of course— it makes them accessible to a much larger audience than they were before, as long as it doesn’t end up alienating their long-time devout. By the second track ‘Broken Heart‘, it’s clear pop-punk has been a huge influence this time around— at least, that’s what you’d think, until the next track ‘Four Letter Word‘ begins with a blistering guitar solo and reverts back to the Escape The Fate of old. They’ve never been the heaviest band in the world obviously, but it’s nice to see them touch on their older roots as well as experiment with a new sound. The titular track is the record’s tour de force, complete with an important message that will no doubt resonate with the band’s teenage fans. 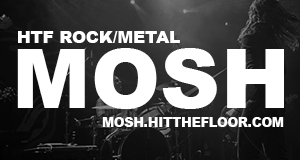 Vocalist Craig Mabbitt has an excellent range, making him the perfect fit for both Escape The Fate’s face-melting hits and their emotional ballads. There’s no point saying this record is consistent because it’s not. It has its ups and downs, changes of pace and experimentation into new avenues, but that’s what makes it all the more real. It may not be the band’s best effort, but it’s solid, and will be enough to please existing fans as well as hopefully get a few new ones on board. Escape The Fate Cover My Chemical Romance – Here’s Our Top 5! Here’s A Free Compilation Album To Get You Hyped For Download Festival!